I put Burnt Offerings on my list primarily because John Darnielle of the Mountain Goats once mentioned it and gave it a fair amount of praise. 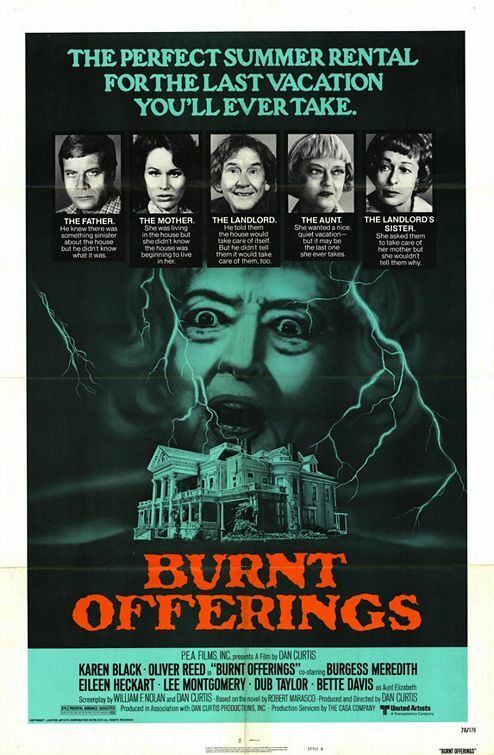 Burnt Offerings is, first and foremost, a very long movie. It's only really 2 hours, but it feels way longer. Without giving any spoilers away really (as this is the premise of the movie), the house this family agrees to stay in for the summer appears to be draining the life from the family. Whether or not this is what is actually happening, it does appear this way, and when your movie's goal is to show the life slowly being drained from someone, you have to realize that this feeling will be experienced by your audience as well. 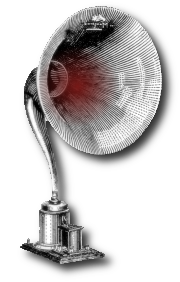 If you're really into Dark Shadows, and love campy 70's horror, and have nothing to do, then I'd recommend that you watch Burnt Offerings. If not, then I'd heavily consider watching this one scene from it. Warning, Spoiler. That's really all you'll need.